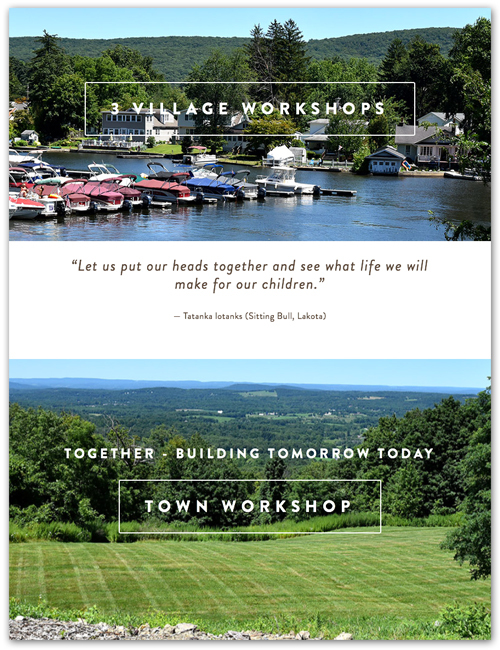 TOGETHER Visioning Campaign - The Town of Warwick, it's 3 villages, and 7 hamlets, joined forces to take the pulse of the community to see what the residents and business owners envisioned for the next 20 years. It was a long and detailed process that started with a survey asking what people loved and didn't like about the town, what advances they would like to see and what they didn't want changed at all. This was followed by village and town workshops to further explore the ideas. Task force groups were set up to start work on the first few projects and they will be followed by more projects over the next months and years. 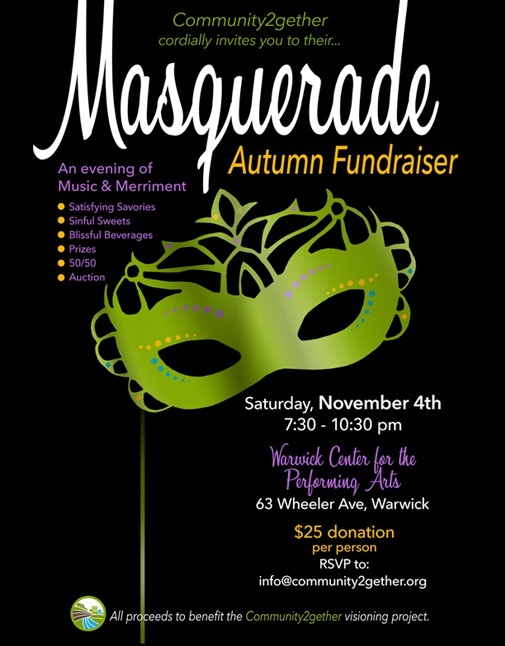 illustrated-ideas provided the branding and artwork for promotional materials that included flyers, banners, handouts, posters, slideshow presentations, and reports. 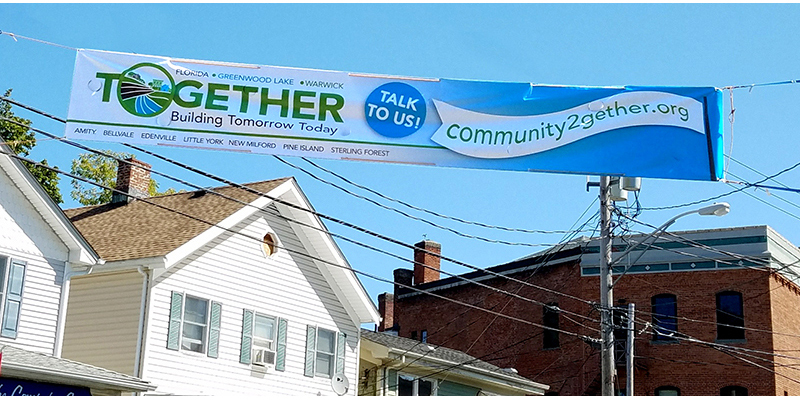 We designed and maintain the community2gether website, which continues to evolve with each phase of the ongoing campaign.